One of three major airlines operating in Mainland China, China Eastern Airlines (CEA) serves nearly 80 million travelers each year. To enhance the competitiveness of their trans-Pacific routes and support a new growth strategy rooted in international expansion, the airline opted to modernize and expand its long-haul fleet with the purchase of 35 Boeing airplanes. 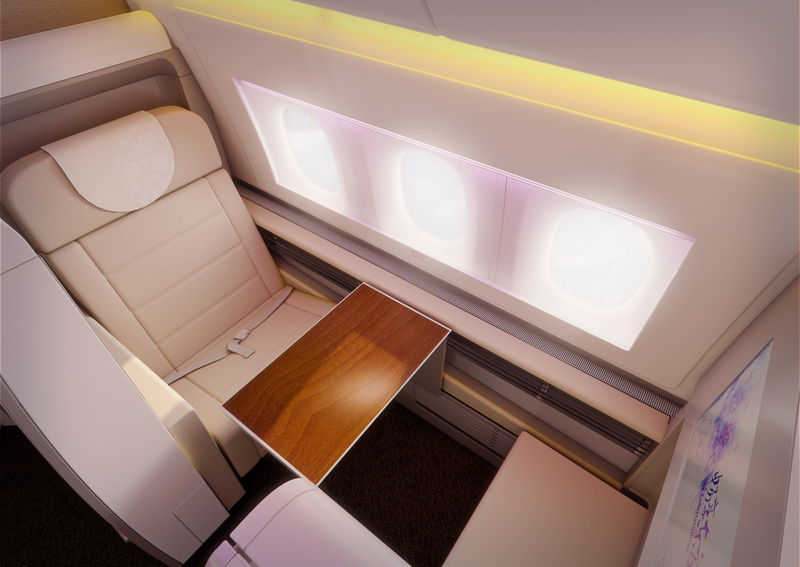 China Eastern Airlines then partnered with TEAGUE to craft a new interior cabin design that has helped the airline emerge from the shadow of its large Asian competitors with a world-class passenger experience that’s all its own. Shanghai sophistication at 40,000 feet. The only major airline based in Shanghai, CEA aspired to capture the city’s distinct east-meets-west sophistication in the cabin interior. To achieve this, a light color palette was paired with wood finishes at key touchpoints to create a restful environment, while soft, pink-toned custom lighting scenes were designed to emulate Shanghai’s sky at twilight. Slightly formal in feel, horizontal patterns partnered beautifully with vertical structures and neutral tones to blur the boundaries of classic and modern, a reflection of the global-local duality of Shanghai culture. Richly subtle and multi-layered luxury finishes, including varied textures and tones, created a sense of understated elegance and intimacy across each class of service, a nod to the city’s warm and welcoming spirit. Never before seen first-class features. 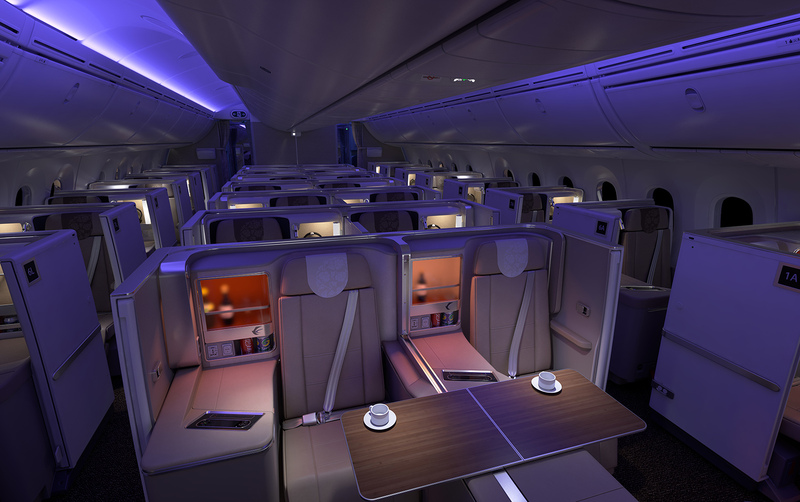 Previously, TEAGUE collaborated with The Boeing Company to design a custom electromechanical window shade and a stowage unit for the 777 first-class cabin. CEA was the first airline to implement the custom features as part of its new fleet. 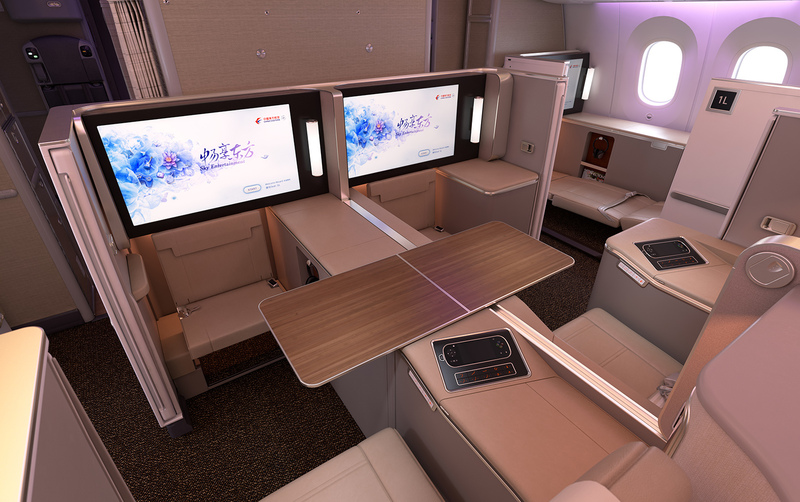 To bring these new attributes to life in a contextual environment, TEAGUE created full-scale virtual and physical mockups of the first-class zone, allowing China Eastern Airlines to experience their unique passenger experience first-hand in a digital environment. Set free and soaring high. China Eastern Airlines’ livery logo has always featured a swallow: a representation of beauty, hope, and prosperity. In the process of our work, the swallow, formerly trapped by a circle, was set free. This new logo became a metaphor for CEA’s entire reinvention process—for the first time in its history, their brand is soaring proud, and today, is the preferred airline in China. 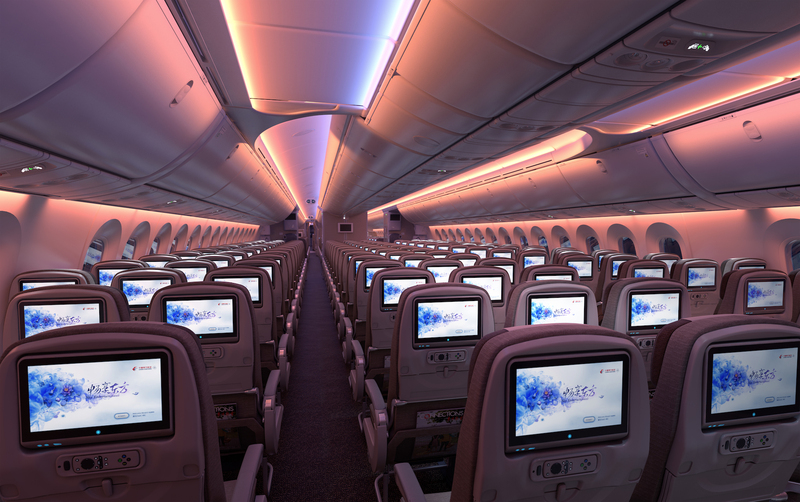 CEA has applied TEAGUE’s passenger experience design to the rest of its fleet, including its Airbus aircraft. 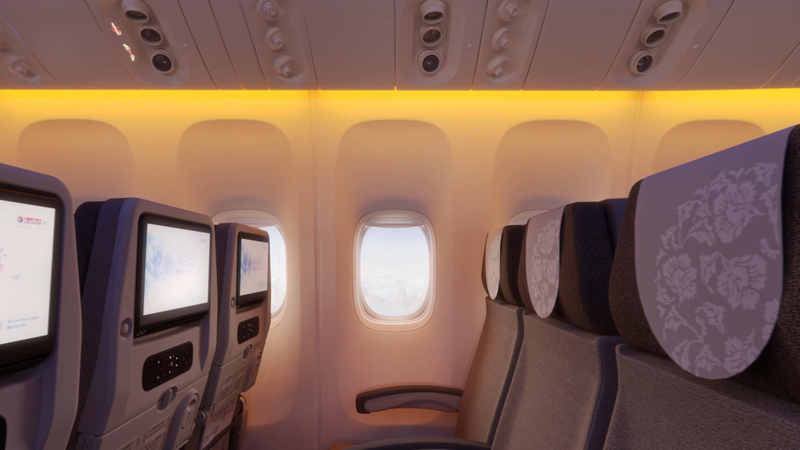 Currently, our designers and engineers are working on China Eastern Airlines’ latest purchase—15 Boeing 787-9 aircrafts—continuing to exemplify the proud new brand through innovative interior design and seat development. Want to learn more about our work with China Eastern Airlines? Get in touch with the team behind it at hello@teague.com.